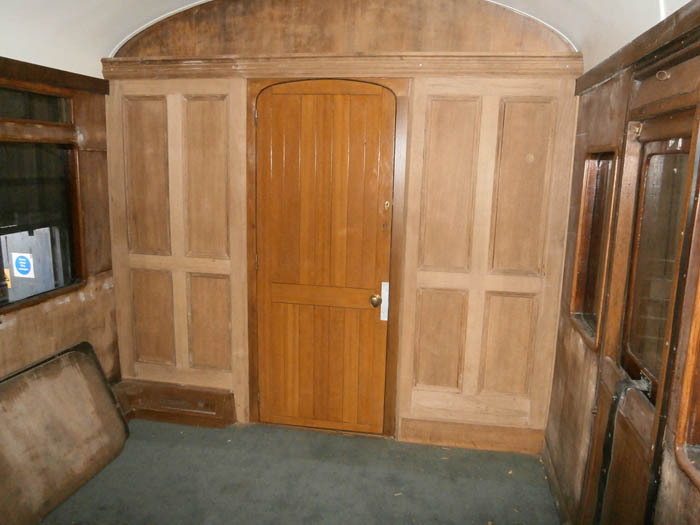 Robbie Thomson made a splendid job of panelling the east saloon in oak kindly donated to the Society. Assembling the large frames proved to be quite a challenge as the glue being used cured rather quickly. It took two or more people to hold the various parts square while the tenons were knocked into the mortices. The panels were then inserted into the framing and finally the mouldings round the edges of the panels pinned in to retain the panels. The complete assembly was then screwed into place in the saloon. 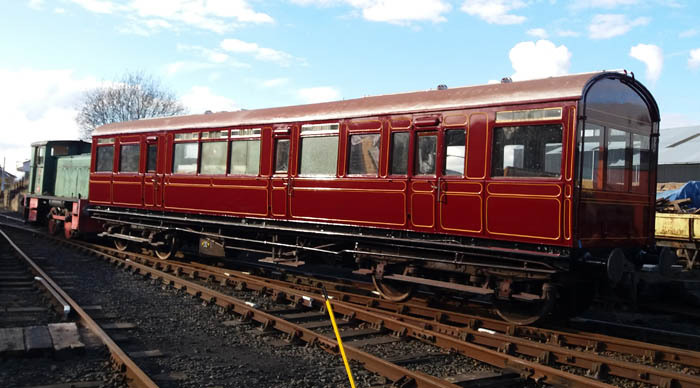 During the summer of 2017, 461 was moved to the Goods Shed where Jim Ormiston completed the exterior lining of the bodywork. Jim summers spent many (happy?) hours cleaning the muck and gunge off the hinged window ventilators. Unfortunately the carriage was left in the open air for a period, so all Jim's nice clean brass became tarnished and dirty, so a repeat cleaning was necessary. 461 in March 2017 moving back to the RCB from the Goods Shed. On inspection it was seen that the brake gear was in a sorry state. All the bushings would have to be replaced and various components were bent out of shape. The brake gear components were moved to the Romney Hut as an offer to straighten things out had been received. 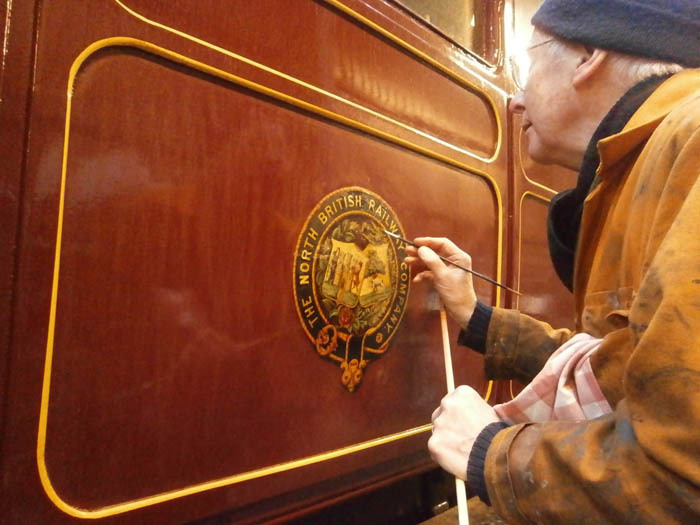 Jim Summers, a master modeller, spent a great deal of time re-painting the two NBR decals on the north side of the carriage. The two decals on the south side are transfers, but the north side ones are originals. Jim's handiwork will be protected by several coats of varnish. In January 2018 the carriage was converted from CFL lighting to LED lighting. This involved the removal of the existing pair of 300W inverters and the replacement of the "life expired" battery charger, whose fan was making very unpleasant noises. The dual outcome of the conversion was better lighting and lower battery power consumption.